We are a leading Service Provider of Cakes Transportation, Chocolate Transportation Service, Frozen Vegetables Transportation, Ice Cream Transportation, Pastry Transportation and Non Veg Transportation from Bengaluru, India. Our company is a proficient Cakes Transportation Service provider based in Bangalore. We define and deploy customized solutions to deliver the most efficient transportation and distribution services. Based in Bangalore, we have unparalleled expertise in Chocolate Transportation. We have on board a team of brilliant professionals, who are highly skilled and experienced. To deliver the most efficient transportation and distribution services, we have our own fleet of refrigerated trucks with enhanced temperature monitoring systems. We offer comprehensive Frozen Vegetables Transportation Services based in Bangalore. The backbone of our company is our experienced workforce. Our firm is a one stop cold chain shop for clients looking at outsourcing the logistics model to suit their specific requirements. We are reckoned among the proficient Ice Cream Transportation Service providers in Bangalore. Owing to our unparalleled expertise in Ice Cream Transportation, supply chain leaders rely on us for quality delivery of their products across numerous verticals. We are a credible Pastry Transportation Service Provider based in Bengaluru, Karnataka. We have a team of skilled professionals for rendering these services who hold rich expertise in this domain. Customized solutions are defined and deployed to deliver the most efficient and reliable transportation and distribution services. Based in Bangalore, we offer reliable and efficient Non Veg Transportation Services. Our firm is a one stop cold chain shop for clients looking at outsourcing the logistics model to suit their specific requirements. Contact us reliable Medicine Transportation Services in Bangalore. We have the expertise to safely handle Pharmaceutical products while fulfilling strict regulatory requirements and industry standards. We have on board a team of diligent professionals, who are unmatched in this domain. 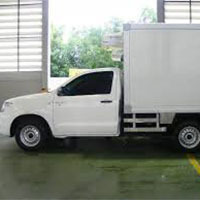 A mixture of vehicle types provide flexibility and provide us the capability of handling a wide range of medicine types such as ambient, refrigerated, controlled drugs, etc. We also provide customized Medicine Transportation Services. Clients can obtain the Services at market-leading rates. By: Snow Ex Logistics Pvt. Ltd.